Italian's Insight to Travel Italy: Bar – Coffee anyone? Italy’s economy is structured differently than the US. The US is based on mega corporations that offer the same mediocre product or service at the same price across the country. Italy’s economic infrastructure is more fragmented with 80% of GDP created by small or micro businesses, many being family owned and operated. Businesses are identified by sector and are usually very specialized. To be able to find the products and services outside of the traditional touristy shops it is important to understand what these are. The Bar, is not the bar here in the US. The primary product sold by a bar is caffe’, or coffee, more specifically espresso. A bar, located in a big city, will easily prepare tens of thousands of espresso a day. This is one of the reasons why the espresso at the bar is so good. Outside of a good espresso the bar will also offer breakfast breads, various wines and liquors, quick lunch dishes and panini, and sometimes pastries. 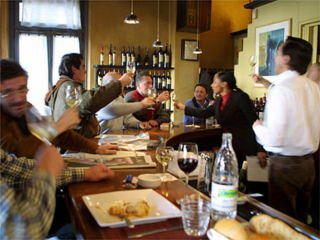 Most bars will also provide finger foods or nuts for a before dinner aperitivo between 5:30 and 7:00 pm. Coffee is an important part of Italian life, it is consumed for breakfast, at morning and afternoon breaks, and after meals as a digestive. Thus you will find bars every few hundred feet in populated areas. Small bars will allow you to order and consume paying on the way out. Larger bars may require you to pay at the register before ordering. When a bar has tables, if the tables have tablecloths, you may sit at the table and a waiter will come. Things will cost more but you will be served at the table. If you order at the bar do not sit at a table with a tablecloth unless they bartender indicates for you to do so. Bars do not have fake milk, half and half, non-dairy creamers or soy milk. You may purchase liquors, wine or beer 24 hours a day, 7 days a week. There are no blue laws. There are no limits on the legal age of drinking. Bars will not serve alcoholic beverages to kids but it is the discretion of the owner, so if you have not taught your kids how and when it is appropriate to consume alcohol you may want to keep them on a close leash. 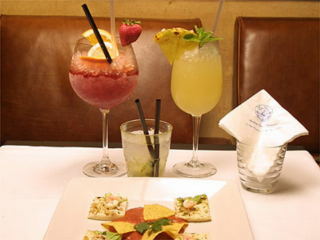 It is customary for Italians, even when not accompanied, to stop in a favorite bar after work for an aperitivo. Most Italians will have their favorite bar so if you are meeting Italians you may want them to take you out for a before dinner drink. Usually aperitivo will be, Prosecco, Pinot Grigio, or Campari. Most bars will prepare mixed drinks but it is not Italian custom. If you do drink, say a Martini, go slow, remember that dinner will include wine. If you want American coffee your hotel can usually provide that. If the hotel coffee is not what you are looking for and you really need an American coffee fix, there are two Dunkin Donuts in Rome and one in Milan. Unfortunately, this article is from actual experience. Too often, when out to breakfast with my kids some tourist would get into a huff because he could not have is soy milk... and individuals wanted to sue someone because their 18 year old son came back to the hotel souced after a night at the disco. 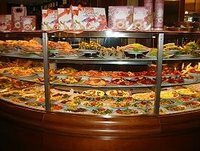 I really enjoyed the coffee / pastry bars we tried while in Rome. I made sure that we hit them at least once or twice a day while we were there. We ended up buying a couple of bottles of wine to take home from one of them :) Such a refreshing change from the Starbucks on every corner. Jennifer I think we are slowly moving away from the McDonalds mentallity. I look forward to finding quality products and service at a reasonable price again, perhaps I am a dreamer, but I believe that our financial market induced superficiality is slowly eroding!!! Here is to the "Return of the Artisans!"